The US has had its election, the world knows that, now it's time for the UK, but will they vote for Jeremy Corbyn, Theresa May, or one of the other political party leaders in a bid to elect the next prime minister? Well, time of course will tell. And the UK general election takes place on 8 June 2017. 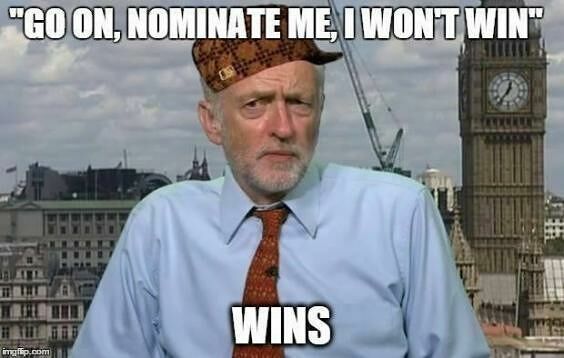 For people who don't follow UK politics, Jeremy Corbyn is basically the UK equivalent of Bernie Sanders or there abouts anyway. 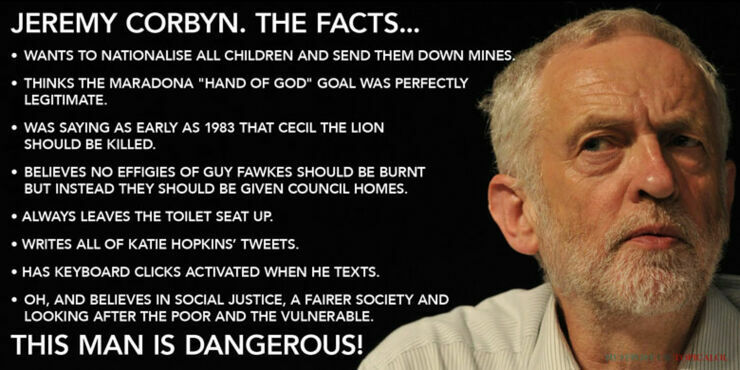 He's also leader of the opposition, the Labour Party, and is a man who's been portrayed in the UK media as some kind of Marxist revolutionary (he isn't). Depending on which media channel you follow. Meanwhile Theresa May, who's leader of the Conservative Party (the British Republican party) and currently prime minster, is portrayed in the British media as some kind of emotionless robot (she is). It doesn't help that she constantly repeats the phrase "Strong and stable" ad infinitum and comes across in interviews with about as much personality as a bowl of peas. Still, someone has to head up the UK government and the British public need to decide who. But if any of them are still undecided on who to vote for, which many of them no doubt are, then this video from Australian YouTube comedian and satirist Jordan Shanks (aka FriendlyJordies) might help. In it he pretty much lays down the case for voting for Jeremy Corbyn with his aptly named Youtube video, 'The Truth About Jeremy Corbyn'. Explaining, with humor and while dressed in various costumes and wigs, that to an outsider at least, Jeremy Corbyn represents everything the British people want. But in some perculiarly British way they're punishing themselves by making out he's not. Or maybe just delusional. Either way, it's both funny and gives a succinct, if oversimplified, summation of why the Brits shouldn't vote for a Conservative government—yet again. And if you are British and are wondering how dare an Aussie tell you how to vote. Well, as Shanks points out also, he's not the only Aussie telling the British how to vote. See also: Rupert Murdoch. But nothing is certain, and with the general election looming, the playing field appears to be levelling. A few weeks ago it was a given that Theresa May was going to be prime minister come June 9th. At least in the polls, but that lead has shrunken dramatically and the tide seems to be turning. It's still likely that May will be prime minister but, as many political commentators have pointed out, after Brexit and Trump anything is possible in today's political climate. Jeremy Corbyn for prime minster? You never know. Check out more of FriendlyJordies videos on his YouTube channel.